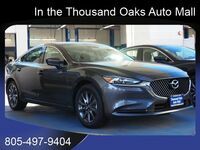 The 2018 Mazda6 has been widely regarded as the best version of the car to date. Its redesigned exterior and added engine option make it stand out from its predecessors. While we usually compare our vehicles to competitors, here, we are doing something a little different. Instead of putting the Mazda6 up against a rival, we are simply comparing it to the Mazda3 sedan. Both of these are great options, we just want you to be informed so you can pick the right car for you. If you’re debating with yourself about which vehicle to go with, it all comes down to personal preference. 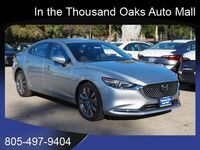 The Mazda6 comes available with a larger, more powerful turbocharged SKYACTIV®-G four-cylinder engine, but the Mazda3 is more efficient. 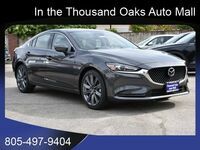 If you would rather have power, the Mazda6 is calling your name. If you’re more concerned with efficiency and saving money at the gas pumps, you will probably want to check out the Mazda3. While the engine sizes are different, so are the overall sizes of the two vehicles. The mid-size Mazda6 measures a foot longer than the compact Mazda3. The Mazda3 is also available as a hatchback, something that can’t be said about the Mazda6. 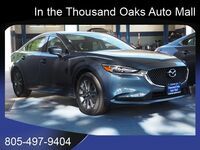 If you’d like to check out some practicality, consider asking about the Mazda3 Hatchback which features more than 41 cubic feet of interior cargo space. 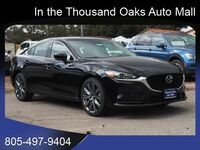 Come on down to Neftin Westlake Mazda to check out these two great cars. No matter what your needs and preferences are, we have a vehicle for you. Our friendly sales staff will go over everything else you need to know so you can make the right decision. We hope to see you soon!